This engrossing and evocative account of the profound changes overtaking China explores the major dilemmas it confronts at the turn of the millennium. 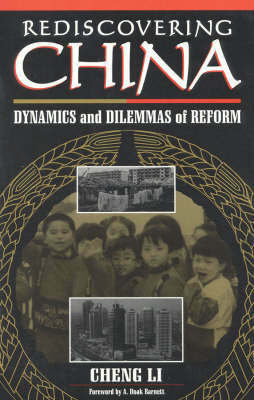 Shanghai-born and Western-educated, Cheng Li provides the unique dual perspective of a local resident and a political scientist who returned to his homeland to observe from the grassroots China's remarkable social transformations. During his travels, Li interviewed people from all walks of life, including local officials, technocrats, entrepreneurs, intellectuals, and migrant laborers. His first-hand account shows how broad changes in rural industrialization, urban privatization, and internal migration have deeply influenced people's lives and ways of thinking. The magnitude of these transformations is unprecedented in Chinese history. His account brings a sense of immediacy to the crucial issues that have bedeviled the country: official corruption, growing disparities between rich and poor, the halting reform of state-owned enterprises, transportation and infrastructure bottlenecks, and environmental degradation. In rediscovering his native country, full of energy, irony, paradox, and contradiction, Li challenges some mainstream perceptions of China and presents a fresh perspective on U.S.-Sino relations during this period of uncertainty. His clear-eyed and engaging account provides the reader with the sounds and smells, tastes and textures of this rapidly changing country.